The three final books in the Old Testament are Haggai, Zechariah and Malachi. Haggai and Zechariah were about rebuilding GOD’s temple. Malachi focused on honouring GOD in the temple. The book of Haggai was written after the southern kingdom of Judah was freed from imprisonment in Babylon. They returned to their capital, Jerusalem. This return was done in three migrations. In 537 BC, the first wave comprising about 50,000 people journeyed back to Jerusalem (Ezra 1:2-4; 2:64-65; 6:3-7). The people who first returned completed only the foundation structure of the temple (Ezra 3:8-11) and the rebuilding work soon ceased. Sixteen years later, in 520 BC, Haggai ministered to the Jews and he told them that GOD desired them to continue reconstructing the temple. The rebuilding was completed in 515 BC (Ezra 6:14-16). The people lost interest in a vision for GOD. On four occasions, GOD spoke through Haggai about rebuilding the temple. The second of these occasions was within less than 30 days after the first, as work seemed again to have ceased. The tribe of Judah failed to understand that the temple was not to be rebuilt alone by them. GOD would do it with them through the Holy Spirit. GOD does not assign duties and abandon these tasks to us to perform single-handedly, on our own energy. Rather, we work with GOD on the things that GOD wants us to do (1:13; 2:4&5). David had given his son Solomon, the same instructions about building the original temple. Solomon was to be strong IN the LORD for the task (1 Ch 28:20 & 21). GOD gave Joshua instructions to be strong IN Him when he conquered the Promised Land. GOD said that he would be WITH him throughout that mission (Josh 1:6, 7, 9 & 18). Fear, doubt and insecurity lodge in people’s hearts. The Shepherd’s Psalm is a testimony that in whatever we do, we have no fear of evil (Ps 23:4). This is as long as we cultivate our relationship with Christ, our Good Shepherd, as a priority. GOD is our Provider. He meets our needs. We should never fail to remember that He is our spiritual priority. Should we fail in observing this, He would gradually withdraw His providence from us. Our assets and the results of our work would then start to dwindle (1:6, 9-11; 2:16-18). This should trigger us that something needs serious attention. We are to consider our ways when that happens (1:5 &7).The people of Jerusalem were so engrossed with their own interests, instead of pursuing GOD’s glory. They failed to realise that their food supply and money were dwindling. GOD’s covenant with His people meant that if they did not obey him, His actions would include reducing His providence (Lev 26:14-20) and their very existence would be threatened. However, a change in our circumstances may not always mean that we have been unfaithful to GOD. This happened to Job. He was faithful to GOD; but he was being tested through a series of misfortunes overnight. Nevertheless, if we fail seriously in our commitment to GOD, the benefits of providence would gradually dwindle. This would be a clear sign that we have been backsliding instead of obeying GOD. An examination of our spiritual life may then be an urgent necessity. A poor perspective in 2:3 was found by the people comparing the original temple with the one to be rebuilt. 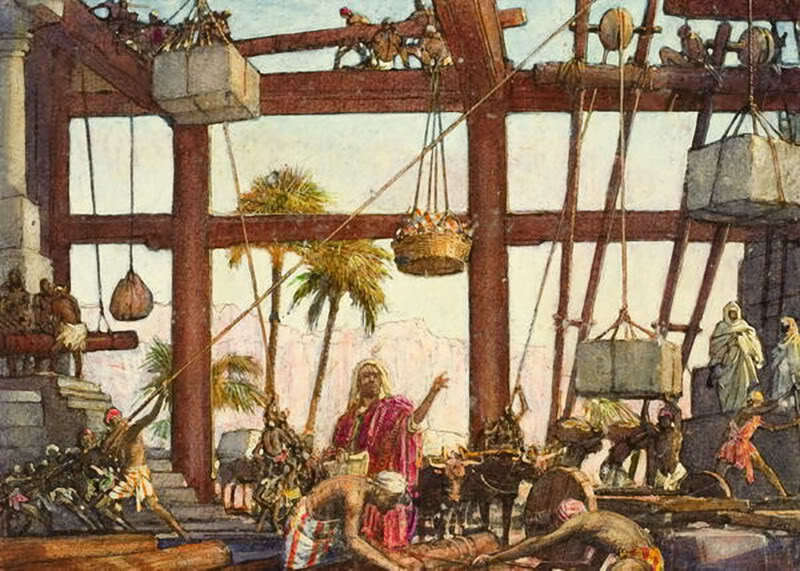 The rebuilt temple would not be as extensive as the previous house of GOD, constructed during Solomon’s time. GOD would have hit a raw nerve when He highlighted this thought of theirs. We should never glorify any aspect of the past only to diminish the present or future. This shows ignorance (Ecc 7:10) in the blessings given by GOD and a failure to appreciate His glory for the future. In 2:12-14 we find that GOD’s concern about the lack of respect that He identified in those serving Him. If something is clean, it does not necessarily mean that its cleanliness would be passed on. But if anything is unholy, it would certainly contaminate whatever is clean. It is unacceptable to serve GOD with a bad or tarnished spirit. Matthew Henry (1662–1714) refers to this service of Jerusalem being “spoilt” with “unsanctified hearts and minds” that made it an “abomination” to GOD. A bad spirit works against bringing about the supremacy of GOD’s glory. Haggai also conveys GOD’s prophecies about the end-times. This was to inspire the people to complete rebuilding the temple as they had lost sight of GOD’s ultimate glory. Firstly, the glory of GOD would be seen with the reconstructed temple. This would ultimately be greater than anything associated with the past (2:7). The climax would happen when Christ would visit the temple and rid it of unspiritual activity (Matt 21:12–17;Mk 11:15–19; Lk 19:45–48; Jn 2:13–17). The heavens, the earth and the nations would one day be shaken and the world’s wealth would be brought into the temple (2:6-8, 21&22). Secondly, Christ our King, would come from the line of Zerubbabel, the Governor of Judah (Matt 1:12; 21:5; Luke 3:27). The signet ring is a symbol of kingship as it sealed the king’s orders (2:23). A reference to “that day” refers to the last day (2:23), the day when Christ would reign as King over His people (Rev 19:16). i) The glory of GOD should be the sole motivation in our lives (1 Cor 10:31). Haggai was a call to GOD’s people to fulfil His glory as their priority. If something fails to give any glory to GOD’s eternal plan, it should not receive priority. ii) The priority for GOD had declined amongst the people because of their self-interest. The glory of the past served to discourage them. There was no sense of urgency. Obstacles got in the way. Trust in GOD was hardly present. Their spiritual alertness had diminished. They were infected with a poor spirit in their service to GOD. The ground was being cut from under them without their realising what had brought it about. If their spiritual preoccupations were left to drift, the presence of a destructive spirit would soon alienate them from GOD. We must never be enveloped in any form of sin, casually. Once this happens, a host of spiritual attacks would soon overtake us in unison. iii) Despite the absence of the correct spiritual focus, GOD was patient with the residents of Jerusalem (2:19). He would remind backsliders of their sin and demand repentance and renunciation. He pointed out the error of their ways. They were assured by GOD that He would be with them to complete the very task that He had assigned them. GOD does not leave us alone in the pursuit of our lives when we do things for His glory. iv) GOD also inspires His people to serve Him. Everything would end up for His glory at the end of the world (Eph 1:3-14). He participates actively in our lives when we live solely for His glory. 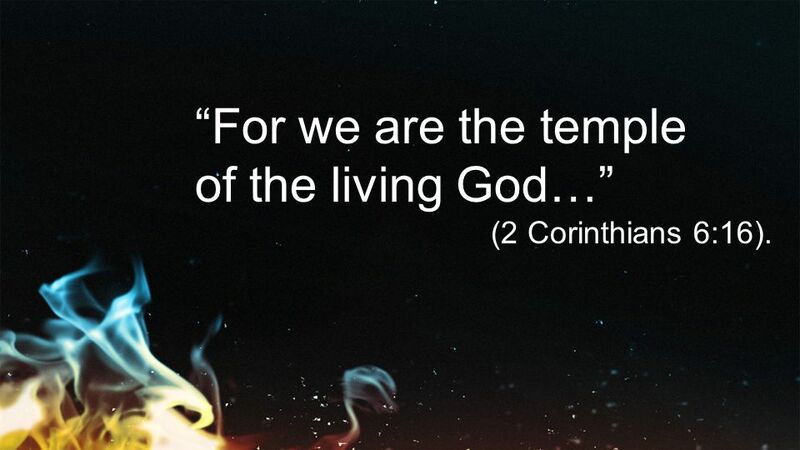 v) We are the temple of GOD, created for GOD’s honour and for Him to dwell in us (1 Cor 3:16; 6:19-20). Building this temple of GOD is our priority with Him. This is done through the Holy Spirit. The Holy Spirit has been entrusted to us by GOD. He sanctifies our lives. Being GOD’s temple enables us to be witnesses for Him. All this only glorifies GOD (Matt 5:16; Acts 1:8; 1 Cor 2:12; Titus 3:4-7). vi) We make disciples of all nations for GOD’s glory. We are not alone in this. We have Christ with, and in us. The Holy Spirit convicts the world of sin, righteousness and judgement. We however, are vessels of treasure that GOD uses to bring His message of glory to the world (Matt 28:20; John 16:15-20; 2 Cor 4:7). vii) GOD is sovereign. It is His will which would triumph. All our selfish perceptions (1:2—‘the time has not come’) must, and would be cast aside. GOD’s will is to see that His glory triumphs. There is no place for man’s glory, or the Devil’s (Ps 29:2). The redemption plan for the restoration of man with GOD, through Christ, is solely for the glory of GOD. How Would Jesus Want Us To Celebrate Easter? Why playing in Abnormal key range during Praise and Worship is poor practice?